RFSC accepts dogs from owners who can no longer keep them. Space is limited, and our first priorities are Golden Retrievers and Labrador Retrievers. We take other breeds as space allows. Owners who wish Retrievers and Friends to find new homes for their dogs are asked to sign a form to release the dog to our care. The dog stays in a foster home until a new home is found. Each potential family must complete an adoption application. A volunteer will visit the family's home to inspect the yard and fence. 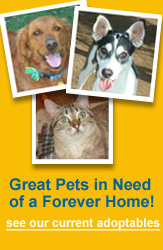 The volunteer also verifies the information on the application, and makes sure any pets in the home are well cared-for. Each member of the family must agree to the adoption. 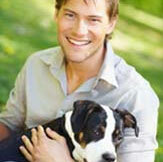 The family home must be appropriate to caring for the particular dog, including a secure, fenced yard. The family must agree to allowing their new dog indoors, and make him or her part of the family. As appropriate, the family must be willing to take the dog to obedience training. The family must demonstrate a commitment to their new dog, and be prepared to care for him or her for life. Of course, if for some reason the adoption is not successful, the dog is returned back to RFSC so that we may find him or her another home. Owners often ask how long it will take before their dog is adopted. The length of time varies with each dog. Older dogs usually take longer to find a home, and we typically have several applications waiting for younger, purebred dogs. We do not rush to adopt dogs into their new homes; we carefully screen each applicant, and wait until the right home is found to match the needs of the dog. 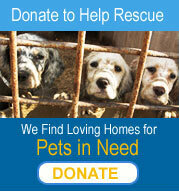 We DO NOT put dogs to sleep or euthanize them simply because it takes longer than planned to find a dog a home. 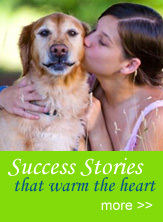 We have on occasion had dogs several months prior to finding a family appropriate for the individual dog. If you need help finding your dog a home and would like us to consider accepting your dog into our foster care program, please complete the following form and push the "submit" button when finished. Has your dog ever been to obedience class? Has your dog ever bitten or attempted to bite a child or an adult? Does your dog get along well with cats? Why do you need to find a home for your dog?